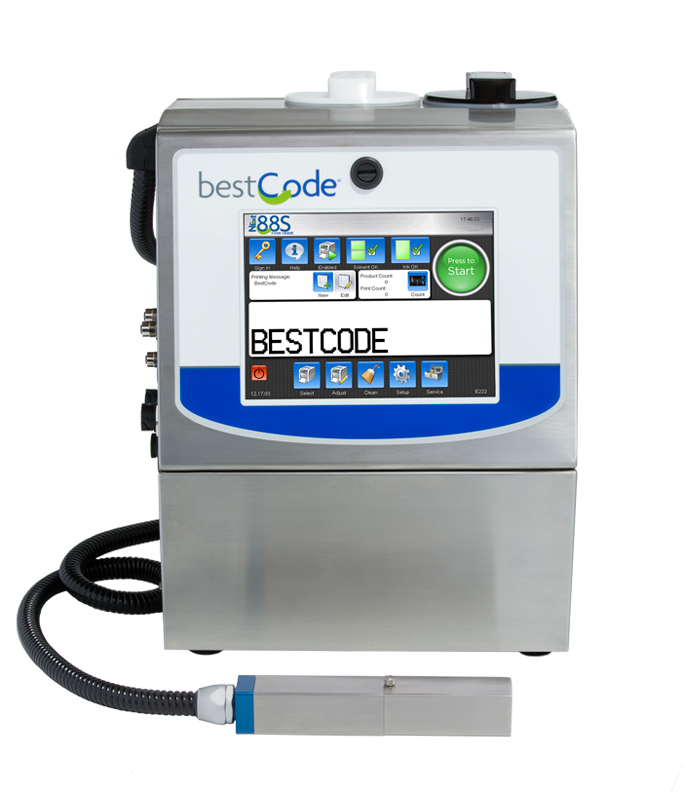 BestCode - Model 88S Micro system high resolution, micro size character capable. The BestCode Model 88S Micro is targeted at applications requiring high resolution or micro size character requirements. Print 1, 2, 3, 4 or 5 lines of text, barcodes or graphics. The model is typically used in high speed wire and cable applications as well as electronics, pharmaceutical, automotive parts, cosmetics and other smaller size health care products. A complete range of dye based inks are available including in a variety of colors for a wide range of applications.